This is a relatively new species to the market and comes from Asia. 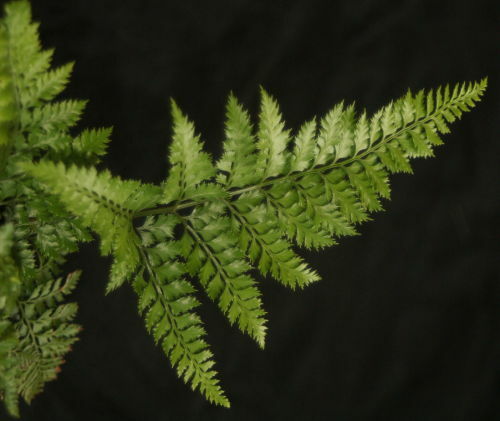 The fronds are almost plastic-like and are a lovely dark-glossy green. This should be superb for florists. It prefers well drained soil in light to full shade, it also does well in containers or as a houseplant.